I think it's about time I get one topic to host these all in instead of them being all over the place. Every new addition I post in this thread will be linked to in this first post for convenience's sake. Gawd this model format is such a mess to work with. Data trees into data trees into data trees into... you get the point. Thankfully the formats haven't really changed much between games, so after getting it working for one game, only minor changes (if any) were done for the next (minus having to flip the endians for the PC/Vita version). Most of the original work for this script was from researching how howfie's ISM2 to LightWave conversion program worked, so major thanks to him for that! September 26th, 2017: Fixed a script error caused by my own stupidity, preventing half of the script from working correctly! Added option to output face.anm information. Merged the Console / PC and debug versions of the script all together. 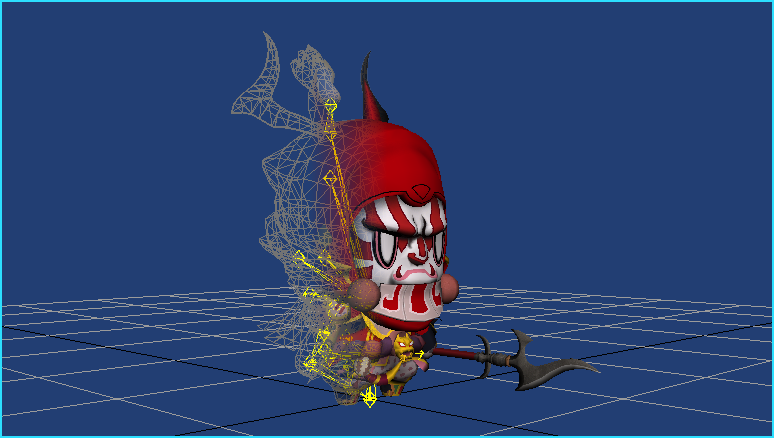 Single-bind objects will now rig themselves to the first bone. Fixed models with invalid bone IDs not loading (e.g. Harley's model in FFF:ADF), and also prints warning messages to the console. Fixed certain models using the wrong material IDs (e.g. Dark Orange's wings in MDNVII). Hyperdimension Neptunia (PS3) - Built on the Phyre engine. Hyperdimension Neptunia PP: Producing Perfection (Vita) - Use the Tamsoft script below. Hyperdimension Neptunia U: Action Unleashed (PC / Vita) - Use the Tamsoft script below. Megadimension Neptunia VIIR (PS4) - Built on the Orochi engine, similar to World of Final Fantasy. MegaTagmension Blanc + Neptune VS Zombies (PC / Vita) - Use the Tamsoft script below. Originally written to help rip models for a friend of mine on Steam (Lucian), this model format was surprisingly one of the easiest I've worked with, taking less than a day to start and finish. The textures are in the TPL format, and can be easily extracted with BrawlBox, which the importer should automatically detect and apply if they're in the same folder. September 10th, 2016: Script released! I wrote this script up as a "just because" sort of thing. That and I grew up watching some Tokusatsu things when I was younger, so yeah. And because the model formats haven't changed a bit, this script which was designed for the first Battride War game just so happens to work with its two sequels and Summonride as well. August 27th, 2014: Added an alternative version for certain 3DS Max versions to fix rigging issues. Been meaning to finish this up for a while, considering all the work for this was done months ago. Use all three QuickBMS scripts below to unpack the files from either of the two games first, and after all that's said and done, the models will be in the aptly-named .MDL files, and the textures are the .PTEX files (which will need to be extracted using TiledGGD or the like). No automatic texture importing for this, but the material numbers will be listed in the polygon group names. And before you ask, I do still have plans on uploading the rest of the playable characters and bosses from both games to The Models Resource. At first I thought that Mario Party 10 was using the same model format that practically every other Wii U game was using, boy was I wrong. But because I'm a determined little bugger, naturally I wrote up a script so I can get at the model files from it. Note that this script will probably not work correctly with map models, that's something I'll look into fixing up at a later time. Characters should work just fine, though, but as always if there's one that doesn't import properly, don't hesitate to let me know so I can fix it. January 10th, 2016: Script released! Started on this back in April... then I never got around to making it work properly until now. Don't ask why. I know delguoqing has a script for Blender already, but I figured I'd finish up what I had so that 3DS Max users have something they can use, too. December 16th, 2017: Script released!... finally. Don't have much to say about this one, other than the fact that the data's stored in an awkward manner. And the archives are dumb. For now, use aluigi's script to unpack the GFPAK archives from here, otherwise check out the Pokémon ripping topic for the extracted models. November 16th, 2018: Script released! Frankly, I'd rather you use gdkchan's SPICA or Ohana3DS Rebirth programs at this point in time instead since they've got much better support, this script is mainly here for archival purposes (or for X/Y models) ...and I honestly wouldn't recommend you use my Omega Ruby / Alpha Sapphire script since it's very buggery. But I digress. February 14th, 2016: Multiple bugfixes with the X/Y script. Most of the work for this script was already done simply because of the fact I already had an importer for Super Smash Bros. for Wii U, other than a few vertex buffer differences and endian-swapping, the formats are nearly identical. And then I was told that Touch My Katamari's were the same, too, so there's support for those now, too! 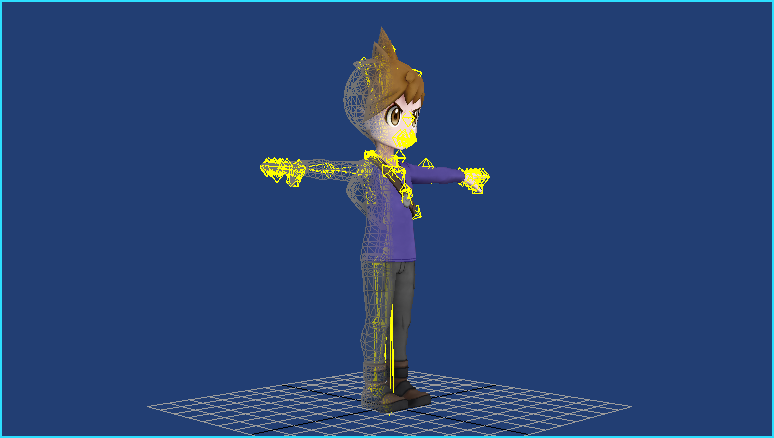 For rigging to import, make sure there's a .VBN file in the same folder as the .NUD (Pokkén's are in the "chrind" folder, you'll need to remove the "bindpose_" at the beginning). September 6th, 2016: Added support for Touch My Katamari's models, which were nearly identical to Pokkén's. Originally written by ItsEasyActually, I've helped out with this script by implementing rigging and support for a bunch of other games. I'll be updating this script later with CNO and possibly INO support, but I'll need to gather a ton of samples of both formats, first. Everyone should know about this by now, but here's my importing script for everyone's favourite smashing all-stars game Super Smash Bros. for Wii U. I've worked on it every now and then, adding support for formats I missed and proper texture IDs and such, and now it's at a state where I can consider it essentially "complete". It's even got a built-in tool to help change texture IDs for use in modding (to prevent conflicts)! Use Sm4shExplorer to extract the game's files, it's the best way to do so (or use the ones in uploaded in the respective topic). May 4th, 2017: Fixed rigging being broken in one way or another for newer 3DS Max versions. Added support for vertex types 0x21/0x23/0x26/0x29 (half-float rigging). Changed internal naming from "size" to "type" for vertex/UV/face formats because that makes more sense. Changed "if" setups for vertex/face information to "case of" just because. It's Super Smash Bros., need I say anything else? Yeah, I guess I do. This here is a model-importing script for Nintendo's newest (and best) entry to the Smash Bros. series, which I got a little help from Ploaj to make. If you want to help out for our ripping project, check out our respective thread! December 26th, 2018: Fixed models with 0 rigging influences not being bound to anything (e.g. Bomberman's remote bomb). Fixed models with invalid bones causing the script to error (e.g. Fiora). I wrote this script specifically to rip the character models from Hyperdimension Neptunia U, but seeing as the model formats were nearly identical, I updated it to support (blergh) Senran Kagura: Shinovi/Estival Versus and Natsuiro High School's models as well. Textures don't auto-import since they don't really use proper names, but the polygon groups list both that and what I believe are the "visibility group" IDs, so you should be able to determine how things are set up from that. April 4th, 2017: Fixed models with over 65535 vertex points not importing. Fixed models with three UV mapping layers not importing correctly. April 1st, 2017: Added support for Senran Kagura: Estival Versus (both Vita and PC versions). Changed bone numbers to bone checksums instead. Added a ton of replacement bone names to replace the checksums, don't expect hair bones (especially SK's) to be named correctly. Optimized polygon group importing a bit so things will load a bit faster. 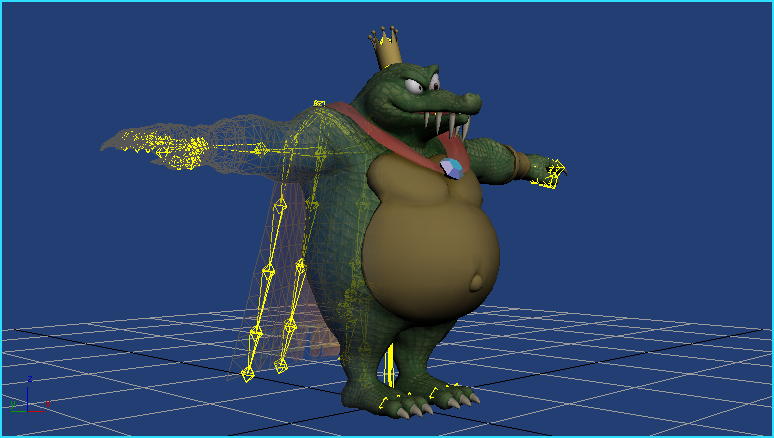 Fixed rigging being broken in one way or another for newer 3DS Max versions. Gintama Rumble (Vita / PS4) - The script will need to be updated to support its TMD files. This is the script set I've spent the most time writing, rewriting and updating overall. This supports most (but not all!) of Telltale Games'... well, games, which you can see in the compatibility list below (unless otherwise stated, PC only). Make sure you have both the .D3DMesh and .SKL files in the same folder, and the textures in a separate "Textures" folder (for the earlier games, at least) for them to import correctly. Due to the sheer amount of changes done to the format over time, not all of them will have proper bone names or automatic texture importing, but I've done what I can for the former to be less annoying to work with. March 3rd, 2018: Added support for Back to the Future: The Game (30th Anniversary Edition), PS4 version only! ui_dealerbutton in Telltale Texas Hold'em doesn't work because it uses a different format for some reason. Models with over 65,535 vertex points (eg. adv_virginiaRailroad_meshesD in TWD3) won't import due to awkward setups. 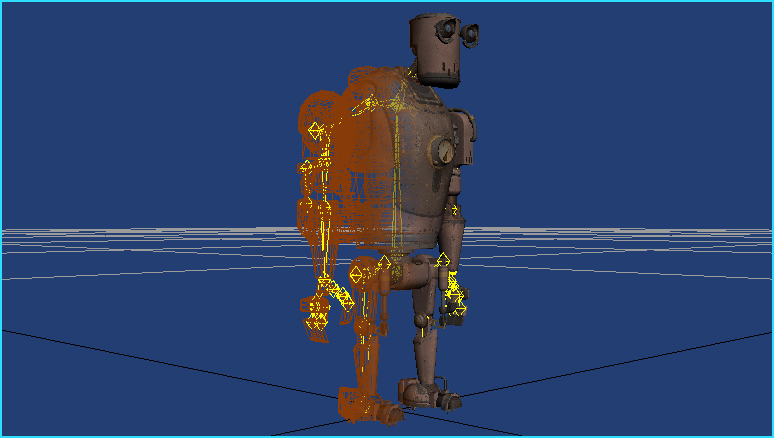 skB3_moxxi and skB0_battleDroid_hologram in TftBL both have no rigging. This isn't the fault of the importer, it's just the way they are. Back to the Future: The Game (30th Anniversary Edition) [PS4] - NEW! Originally by ItsEasyActually, this script was designed for used with extracting models from Wii U games with the "common" format. I helped out with adding rigging support, fixing some issues, and adding Nintendo Switch compatibility to it. June 20th, 2018: Fixed Switch models with four values (e.g. Obj_BGOBJ_CDplayer_M_Octa) failing to import. Fixed vertex alphas not being applied to Wii U models. Here is a model importer for World of Final Fantasy. I originally started writing this script for the Vita version, but the lack of a sane filesystem was making it difficult for me to find things. Thankfully after a long wait, a PC version was released, so I figured it'd be better to shift my efforts towards that instead due to having higher-resolution textures and such. Only downside is there's no LOD models compared to the Vita version, but whatever. Textures don't auto-apply to models yet (the information's in the .MDC files, but I have no clue how to parse those yet), but frankly most of the character models only have one texture anyway, so it's not that big of a deal (yet). December 4th, 2017: Added a check for compressed models so it won't crash if you forget to decompress 'em. Implemented multiple UV mapping layers because I'm a twit and forgot all about it. You said this *NO script can import from Sonic Riders: Zero Gravity? I'm going through the files of the Wii version and I can't seem to find any with a similar extension. Am I missing something? (09-11-2016, 04:30 PM)Carpaccio Wrote: You said this *NO script can import from Sonic Riders: Zero Gravity? I'm going through the files of the Wii version and I can't seem to find any with a similar extension. Am I missing something? For now, you'll need to rely on memory dumps for those until I can figure out a way to get 'em extracted properly. Is there any way you might consider taking a look at Smash Bros. Melee? Even today, there's still no real importer for fighters that gets their weights and joints. There was someone working on it, but after about the 3rd time he scrapped everything and restarted, I lost hope in his ever getting this format handled. (09-10-2016, 10:52 AM)Random Talking Bush Wrote: I'll be updating this script later with CNO and possibly INO support, but I'll need to gather a ton of samples of both formats, first. I would really like to help out with this. If you need samples of CNO files, I've got a lot of them. I'll be more than happy to upload some for you . However, they're all from the same game(The House of the Dead 4 for PS3), and for that, I apologize. (09-23-2016, 05:37 PM)nerufan1haku Wrote: any sm3dw files? Some dude posted a link that had all of the unencrypted SM3DW models on the comments section somewhere. Well guess that's a dead end for me. I have no idea how to do memory dumps, so until we can extract them properly, end of my project concerning this game. Really wanted to get SCR-HD, and Master Core ABIS. (09-26-2016, 09:44 AM)Carpaccio Wrote: Well guess that's a dead end for me. I have no idea how to do memory dumps, so until we can extract them properly, end of my project concerning this game. Really wanted to get SCR-HD, and Master Core ABIS. I'll take another look at the formats sometime early next month. Hopefully I'll come up with something that can be used, and not stumble on unknown compressions or anything like that. Anyway, I've added an .LZ decompression script for Paper Mario: Color Splash now. I've got dibs on ripping the sprites, though, but you won't see 'em up on the site until after October 7th. RTB Have you heard of this game called Pokeland Legends? I'm trying to get 3D Models from it. Do you need some sample? I see you've added support for Natsuiro High School to your Tamsoft script. How did you extract the .cat files? I've tried using all the bms scripts used on other Tamsoft games (posted over on xentax) but they don't work. Does anyone have sonic and mario rio 2016 games files?